$5,360 BELOW Kelly Blue Book Value! **RAM CERTIFIED PRE-OWNED with EXTENDED WARRANTY! ** Granite Crystal Metallic Clearcoat 2017 Ram 1500 SLT RWD 8-Speed Automatic 3.6L V6 24V VVT **ONE OWNER**, **CLEAN TITLE HISTORY**, ** 4 NEW TIRES **, *RUNNING BOARDS*, *BED LINER*, 1500 SLT, 4D Extended Cab, 3.6L V6 24V VVT, 8-Speed Automatic, RWD, Granite Crystal Metallic Clearcoat, Diesel Gray/Black w/ Premium Cloth Bucket Seats, Power 10-Way Driver Seat, Power Lumbar Adjust. Thank you for your interest in our Ram1500 SLT. In need of a new or pre-owned Chrysler, Jeep and Dodge vehicle? Looking for financing, vehicle service or a specific auto part? You're in luck. Normandin Chrysler Jeep Dodge supplies all of the above and does so with excellence. We are located at 900 Capitol Expressway Auto Mall and provide San Jose, CA and surrounding areas with a staff of friendly individuals dedicated to customer satisfaction. Stop by today to check out the impressive set of services we provide. If you still have questions, call us at (877) 330-0391. Certified. Redline Pearlcoat 2018 Jeep Compass Limited FWD 6-Speed Aisin Automatic 2.4L I4 **ONE OWNER**, **CLEAN TITLE HISTORY**, Compass Limited, 4D Sport Utility, 2.4L I4, 6-Speed Aisin Automatic, FWD, Redline Pearlcoat, Advanced Safety & Lighting Group, Auto High Beam Headlamp Control, Auto-Dimming Rear-View Mirror, Bi-Xenon HID Headlamps w/LED Signature, Blind Spot & Cross Path Detection, Full Speed FWD Collision Warn Plus, Lane Departure Warning Plus, LED Taillamps, Navigation Group, ParkSense Rear Park Assist System, Radio: Uconnect 4C Nav w/8.4" Display, Rain Sensitive/Intermittent Wipers, Safe & Security Group. Thank you for your interest in our JeepCompass Limited. 22/31 City/Highway MPG FCA US Certified Pre-Owned Details: * 125 Point Inspection * Roadside Assistance * Includes First Day Rental, Car Rental Allowance, and Trip Interruption Benefits * Vehicle History * Powertrain Limited Warranty: 84 Month/100,000 Mile (whichever comes first) from original in-service date * Warranty Deductible: $100 * Transferable Warranty * Limited Warranty: 3 Month/3,000 Mile (whichever comes first) after new car warranty expires or from certified purchase date In need of a new or pre-owned Chrysler, Jeep and Dodge vehicle? Looking for financing, vehicle service or a specific auto part? You're in luck. Normandin Chrysler Jeep Dodge supplies all of the above and does so with excellence. We are located at 900 Capitol Expressway Auto Mall and provide San Jose, CA and surrounding areas with a staff of friendly individuals dedicated to customer satisfaction. Stop by today to check out the impressive set of services we provide. If you still have questions, call us at (877) 330-0391. $4,250 BELOW Kelly Blue Book Value!! Certified. Redline Pearlcoat 2018 Jeep Compass Limited FWD 6-Speed Aisin Automatic 2.4L I4 **ONE OWNER**, **CLEAN TITLE HISTORY**, Compass Limited, 4D Sport Utility, 2.4L I4, 6-Speed Aisin Automatic, FWD, Redline Pearlcoat, Advanced Safety & Lighting Group, Auto High Beam Headlamp Control, Auto-Dimming Rear-View Mirror, Bi-Xenon HID Headlamps w/LED Signature, Blind Spot & Cross Path Detection, Full Speed FWD Collision Warn Plus, Lane Departure Warning Plus, LED Taillamps, Navigation Group, Navigation System, ParkSense Rear Park Assist System, Radio: Uconnect 4C Nav w/8.4" Display, Rain Sensitive/Intermittent Wipers, Safe & Security Group. Thank you for your interest in our JeepCompass Limited. Recent Arrival! 22/31 City/Highway MPG FCA US Certified Pre-Owned Details: * 125 Point Inspection * Includes First Day Rental, Car Rental Allowance, and Trip Interruption Benefits * Vehicle History * Warranty Deductible: $100 * Transferable Warranty * Limited Warranty: 3 Month/3,000 Mile (whichever comes first) after new car warranty expires or from certified purchase date * Powertrain Limited Warranty: 84 Month/100,000 Mile (whichever comes first) from original in-service date * Roadside Assistance In need of a new or pre-owned Chrysler, Jeep and Dodge vehicle? Looking for financing, vehicle service or a specific auto part? You're in luck. Normandin Chrysler Jeep Dodge supplies all of the above and does so with excellence. We are located at 900 Capitol Expressway Auto Mall and provide San Jose, CA and surrounding areas with a staff of friendly individuals dedicated to customer satisfaction. Stop by today to check out the impressive set of services we provide. If you still have questions, call us at (877) 330-0391. $3,150 BELOW Kelly Blue Book Value!! Certified. Granite Crystal Metallic Clearcoat 2018 Chrysler 300 Limited RWD 8-Speed Automatic 3.6L 6-Cylinder SMPI DOHC **ONE OWNER**, **CLEAN TITLE HISTORY**, 300 Limited, 4D Sedan, 3.6L 6-Cylinder SMPI DOHC, 8-Speed Automatic, RWD, Granite Crystal Metallic Clearcoat, Dual-Pane Panoramic Sunroof, Heated front seats, Navigation System, Quick Order Package 22T Limited, Ventilated front seats. Thank you for your interest in our Chrysler300 Limited. Recent Arrival! 19/30 City/Highway MPG FCA US Certified Pre-Owned Details: * Warranty Deductible: $100 * Transferable Warranty * Vehicle History * Roadside Assistance * 125 Point Inspection * Includes First Day Rental, Car Rental Allowance, and Trip Interruption Benefits * Powertrain Limited Warranty: 84 Month/100,000 Mile (whichever comes first) from original in-service date * Limited Warranty: 3 Month/3,000 Mile (whichever comes first) after new car warranty expires or from certified purchase date In need of a new or pre-owned Chrysler, Jeep and Dodge vehicle? Looking for financing, vehicle service or a specific auto part? You're in luck. 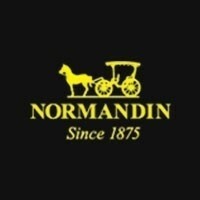 Normandin Chrysler Jeep Dodge supplies all of the above and does so with excellence. We are located at 900 Capitol Expressway Auto Mall and provide San Jose, CA and surrounding areas with a staff of friendly individuals dedicated to customer satisfaction. Stop by today to check out the impressive set of services we provide. If you still have questions, call us at (877) 330-0391. $3,646 BELOW Kelly Blue Book Value!! Certified. Billet 2018 Jeep Compass Limited FWD 6-Speed Aisin Automatic 2.4L I4 **ONE OWNER**, **CLEAN TITLE HISTORY**, Compass Limited, 4D Sport Utility, 2.4L I4, 6-Speed Aisin Automatic, FWD, Billet, Leather, Advanced Safety & Lighting Group, Auto High Beam Headlamp Control, Auto-Dimming Rear-View Mirror, Bi-Xenon HID Headlamps w/LED Signature, Blind Spot & Cross Path Detection, Full Speed FWD Collision Warn Plus, Lane Departure Warning Plus, LED Taillamps, Navigation Group, Navigation System, ParkSense Rear Park Assist System, Radio: Uconnect 4C Nav w/8.4" Display, Rain Sensitive/Intermittent Wipers, Safe & Security Group. Thank you for your interest in our JeepCompass Limited. Recent Arrival! 22/31 City/Highway MPG FCA US Certified Pre-Owned Details: * Warranty Deductible: $100 * Powertrain Limited Warranty: 84 Month/100,000 Mile (whichever comes first) from original in-service date * 125 Point Inspection * Transferable Warranty * Limited Warranty: 3 Month/3,000 Mile (whichever comes first) after new car warranty expires or from certified purchase date * Roadside Assistance * Vehicle History * Includes First Day Rental, Car Rental Allowance, and Trip Interruption Benefits In need of a new or pre-owned Chrysler, Jeep and Dodge vehicle? Looking for financing, vehicle service or a specific auto part? You're in luck. Normandin Chrysler Jeep Dodge supplies all of the above and does so with excellence. We are located at 900 Capitol Expressway Auto Mall and provide San Jose, CA and surrounding areas with a staff of friendly individuals dedicated to customer satisfaction. Stop by today to check out the impressive set of services we provide. If you still have questions, call us at (877) 330-0391. Certified. Granite 2018 Jeep Compass Limited FWD 6-Speed Aisin Automatic 2.4L I4 **ONE OWNER**, **CLEAN TITLE HISTORY**, Compass Limited, 4D Sport Utility, 2.4L I4, 6-Speed Aisin Automatic, FWD, Granite, Advanced Safety & Lighting Group, Auto High Beam Headlamp Control, Auto-Dimming Rear-View Mirror, Bi-Xenon HID Headlamps w/LED Signature, Blind Spot & Cross Path Detection, Full Speed FWD Collision Warn Plus, Lane Departure Warning Plus, LED Taillamps, Navigation Group, Navigation System, ParkSense Rear Park Assist System, Power Liftgate, Radio: Uconnect 4C Nav w/8.4" Display, Rain Sensitive/Intermittent Wipers, Safe & Security Group. Thank you for your interest in our JeepCompass Limited. 22/31 City/Highway MPG FCA US Certified Pre-Owned Details: * Powertrain Limited Warranty: 84 Month/100,000 Mile (whichever comes first) from original in-service date * Limited Warranty: 3 Month/3,000 Mile (whichever comes first) after new car warranty expires or from certified purchase date * Warranty Deductible: $100 * Roadside Assistance * Includes First Day Rental, Car Rental Allowance, and Trip Interruption Benefits * 125 Point Inspection * Transferable Warranty * Vehicle History In need of a new or pre-owned Chrysler, Jeep and Dodge vehicle? Looking for financing, vehicle service or a specific auto part? You're in luck. Normandin Chrysler Jeep Dodge supplies all of the above and does so with excellence. We are located at 900 Capitol Expressway Auto Mall and provide San Jose, CA and surrounding areas with a staff of friendly individuals dedicated to customer satisfaction. Stop by today to check out the impressive set of services we provide. If you still have questions, call us at (877) 330-0391. Certified. Granite Crystal Metallic Clearcoat 2018 Jeep Compass Limited FWD 6-Speed Aisin Automatic 2.4L I4 **ONE OWNER**, **CLEAN TITLE HISTORY**, Compass Limited, 4D Sport Utility, 2.4L I4, 6-Speed Aisin Automatic, FWD, Granite Crystal Metallic Clearcoat, Advanced Safety & Lighting Group, Auto High Beam Headlamp Control, Auto-Dimming Rear-View Mirror, Bi-Xenon HID Headlamps w/LED Signature, Blind Spot & Cross Path Detection, Full Speed FWD Collision Warn Plus, Lane Departure Warning Plus, LED Taillamps, Navigation Group, Navigation System, ParkSense Rear Park Assist System, Power Liftgate, Radio: Uconnect 4C Nav w/8.4" Display, Rain Sensitive/Intermittent Wipers, Safe & Security Group. Thank you for your interest in our JeepCompass Limited. 22/31 City/Highway MPG FCA US Certified Pre-Owned Details: * Vehicle History * Powertrain Limited Warranty: 84 Month/100,000 Mile (whichever comes first) from original in-service date * Includes First Day Rental, Car Rental Allowance, and Trip Interruption Benefits * Limited Warranty: 3 Month/3,000 Mile (whichever comes first) after new car warranty expires or from certified purchase date * Roadside Assistance * Warranty Deductible: $100 * Transferable Warranty * 125 Point Inspection In need of a new or pre-owned Chrysler, Jeep and Dodge vehicle? Looking for financing, vehicle service or a specific auto part? You're in luck. Normandin Chrysler Jeep Dodge supplies all of the above and does so with excellence. We are located at 900 Capitol Expressway Auto Mall and provide San Jose, CA and surrounding areas with a staff of friendly individuals dedicated to customer satisfaction. Stop by today to check out the impressive set of services we provide. If you still have questions, call us at (877) 330-0391. Certified. Billet Silver Metallic Clearcoat 2018 Jeep Compass Limited FWD 6-Speed Aisin Automatic 2.4L I4 **ONE OWNER**, **CLEAN TITLE HISTORY**, Compass Limited, 4D Sport Utility, 2.4L I4, 6-Speed Aisin Automatic, FWD, Billet Silver Metallic Clearcoat, Advanced Safety & Lighting Group, Auto High Beam Headlamp Control, Auto-Dimming Rear-View Mirror, Bi-Xenon HID Headlamps w/LED Signature, Blind Spot & Cross Path Detection, Full Speed FWD Collision Warn Plus, Lane Departure Warning Plus, LED Taillamps, Navigation Group, ParkSense Rear Park Assist System, Radio: Uconnect 4C Nav w/8.4" Display, Rain Sensitive/Intermittent Wipers, Safe & Security Group. Thank you for your interest in our JeepCompass Limited. 22/31 City/Highway MPG FCA US Certified Pre-Owned Details: * Powertrain Limited Warranty: 84 Month/100,000 Mile (whichever comes first) from original in-service date * Includes First Day Rental, Car Rental Allowance, and Trip Interruption Benefits * Transferable Warranty * 125 Point Inspection * Vehicle History * Limited Warranty: 3 Month/3,000 Mile (whichever comes first) after new car warranty expires or from certified purchase date * Warranty Deductible: $100 * Roadside Assistance In need of a new or pre-owned Chrysler, Jeep and Dodge vehicle? Looking for financing, vehicle service or a specific auto part? You're in luck. Normandin Chrysler Jeep Dodge supplies all of the above and does so with excellence. We are located at 900 Capitol Expressway Auto Mall and provide San Jose, CA and surrounding areas with a staff of friendly individuals dedicated to customer satisfaction. Stop by today to check out the impressive set of services we provide. If you still have questions, call us at (877) 330-0391. Certified. White Clearcoat 2018 Jeep Compass Limited FWD 6-Speed Aisin Automatic 2.4L I4 **ONE OWNER**, **CLEAN TITLE HISTORY**, Compass Limited, 4D Sport Utility, 2.4L I4, 6-Speed Aisin Automatic, FWD, White Clearcoat, Black w/Leather Trimmed Bucket Seats, Advanced Safety & Lighting Group, Auto High Beam Headlamp Control, Auto-Dimming Rear-View Mirror, Bi-Xenon HID Headlamps w/LED Signature, Blind Spot & Cross Path Detection, Full Speed FWD Collision Warn Plus, Lane Departure Warning Plus, LED Taillamps, Navigation Group, Navigation System, ParkSense Rear Park Assist System, Power Liftgate, Radio: Uconnect 4C Nav w/8.4" Display, Rain Sensitive/Intermittent Wipers, Safe & Security Group. Thank you for your interest in our JeepCompass Limited. 22/31 City/Highway MPG FCA US Certified Pre-Owned Details: * Includes First Day Rental, Car Rental Allowance, and Trip Interruption Benefits * Warranty Deductible: $100 * Limited Warranty: 3 Month/3,000 Mile (whichever comes first) after new car warranty expires or from certified purchase date * Roadside Assistance * 125 Point Inspection * Powertrain Limited Warranty: 84 Month/100,000 Mile (whichever comes first) from original in-service date * Vehicle History * Transferable Warranty In need of a new or pre-owned Chrysler, Jeep and Dodge vehicle? Looking for financing, vehicle service or a specific auto part? You're in luck. Normandin Chrysler Jeep Dodge supplies all of the above and does so with excellence. We are located at 900 Capitol Expressway Auto Mall and provide San Jose, CA and surrounding areas with a staff of friendly individuals dedicated to customer satisfaction. Stop by today to check out the impressive set of services we provide. If you still have questions, call us at (877) 330-0391. $3,591 BELOW Kelly Blue Book Value!! Certified. Rhino Clearcoat 2018 Jeep Compass Limited FWD 6-Speed Aisin Automatic 2.4L I4 **ONE OWNER**, **CLEAN TITLE HISTORY**, Advanced Safety & Lighting Group, Auto High Beam Headlamp Control, Auto-Dimming Rear-View Mirror, Bi-Xenon HID Headlamps w/LED Signature, Blind Spot & Cross Path Detection, Full Speed FWD Collision Warn Plus, Lane Departure Warning Plus, LED Taillamps, Navigation Group, Navigation System, ParkSense Rear Park Assist System, Radio: Uconnect 4C Nav w/8.4" Display, Rain Sensitive/Intermittent Wipers, Safe & Security Group. Thank you for your interest in our JeepCompass Limited. Recent Arrival! 22/31 City/Highway MPG FCA US Certified Pre-Owned Details: * Includes First Day Rental, Car Rental Allowance, and Trip Interruption Benefits * 125 Point Inspection * Transferable Warranty * Roadside Assistance * Warranty Deductible: $100 * Powertrain Limited Warranty: 84 Month/100,000 Mile (whichever comes first) from original in-service date * Limited Warranty: 3 Month/3,000 Mile (whichever comes first) after new car warranty expires or from certified purchase date * Vehicle History In need of a new or pre-owned Chrysler, Jeep and Dodge vehicle? Looking for financing, vehicle service or a specific auto part? You're in luck. Normandin Chrysler Jeep Dodge supplies all of the above and does so with excellence. We are located at 900 Capitol Expressway Auto Mall and provide San Jose, CA and surrounding areas with a staff of friendly individuals dedicated to customer satisfaction. Stop by today to check out the impressive set of services we provide. If you still have questions, call us at (877) 330-0391.